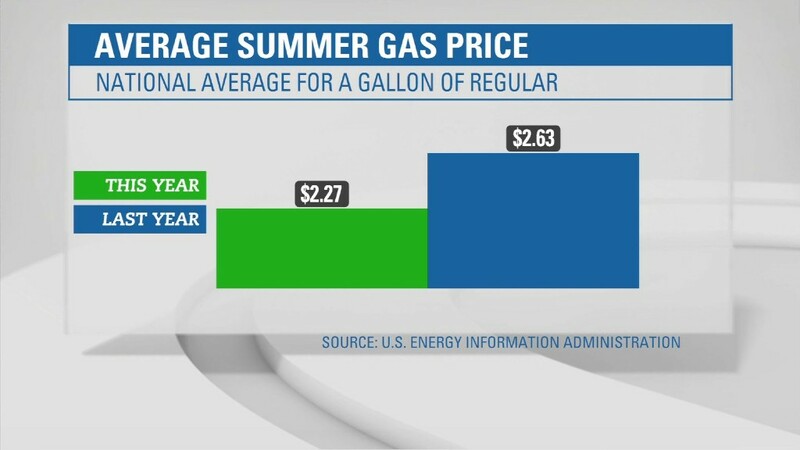 Summer gas prices are expected to be at their lowest level in 12 years, according to a government forecast released Tuesday. Gas is expected to average $2.27 a gallon nationwide during the April through September summer driving season, according to the Energy Information Administration. That's down 36 cents, or 13%, from gas prices last summer.